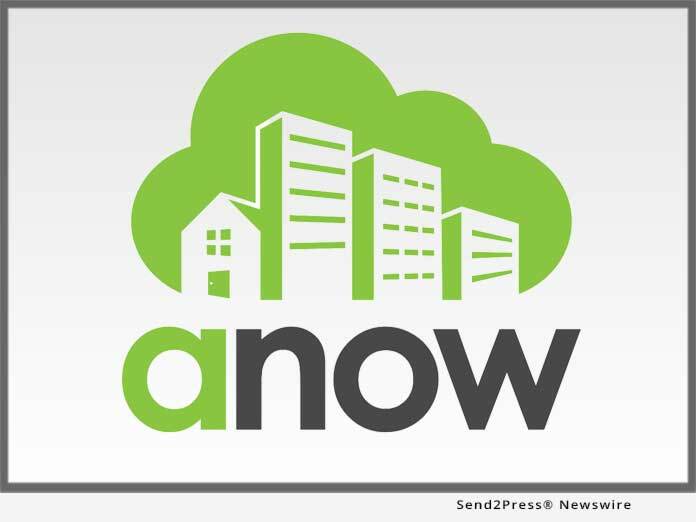 RED DEER, Alberta, Dec 05, 2018 (SEND2PRESS NEWSWIRE) — Nations Valuation Services (NVS), the appraisal services division of the Nations Companies, today announced the integration of appraisal management software from Anow with NVS’ proprietary management system, AppraisalTRAX(TM). According to NVS Executive Vice President of Operations Matthew Scott, all appraisals submitted by the AMC’s more than 16,000 appraisers nationwide will run through Anow, allowing the entire NVS appraisal network to tap into the platform’s powerful time-saving and collaboration features. Appraisers face increasing pressure from lenders and AMCs to upgrade from a patchwork of legacy desktop applications to systems capable of delivering real-time communication, mass collaboration and a modern borrower experience. Mortgage lenders have already begun adopting digital processes from origination to closing in pursuit of efficiencies and loan quality improvements. Anow enterprise software features the industry’s first unified appraisal tracking platform from which appraisal businesses can efficiently manage orders, clients and fees. Built to drive dynamic appraisal businesses of every size and stripe, Anow allows fully customized workflows, automated status updates, end-to-end activity tracking, unlimited scalability and rapid setup. Anow’s proprietary calendaring system enables smart, rapid response to mortgage lenders’ “turn-on-a-dime” demands, matching the right appraiser with the right property to ensure that tight underwriting requirements and closing deadlines are met. “That’s why we expect appraisers are going to love the Anow platform once they experience it. And based on the feedback of those on our panel already using it, it’s the organization of their calendars and the ability to communicate in real time from a single place that has really sold them on how great this product is,” Scott added. For more information about Anow’s appraisal management software, contact Keith@Anow.com or call 800-403-7121. Anow is an appraisal management software developer that simplifies the way real estate appraisers manage their businesses. Launched in 2011 by multi-generational appraisal professional Marty Haldane, Anow streamlines a wide range of everyday appraisal processes while offering unmatched business insights to help appraisers compete in today’s digital environment. Powerful order tracking, job assignment, collaboration, and scheduling tools allow appraisers and administrative staff to save time, assign appraisals more easily and deliver exceptional service to clients and mortgage lenders from any web-enabled device. Advanced reporting enables business owners to manage fee competition and turn times with ease. Anow is headquartered in Red Deer, Alberta. For more information, visit https://anow.com/. Nations Valuation Services (NVS) is a division of Nations Companies, which is a diversified provider of real estate information services including: Appraisals, Title, and Default Services. Established in 1989, Nations Companies is one of the most successful and established national companies offering services to large banks and mortgage lenders in the U.S. With branches nationwide, Nations offers SSAE18 Security and technology such as XML exchange services. For more information, visit http://www.nationsvs.com/.